As innovative as the current generation of VR gaming peripherals such as the HTC Vive and Oculus Touch might be, there's no denying the appeal of a hands-free VR gaming experience. Voice-controlled VR is one option to accomplish such a goal but what if all you needed to navigate a virtual environment was your mind? 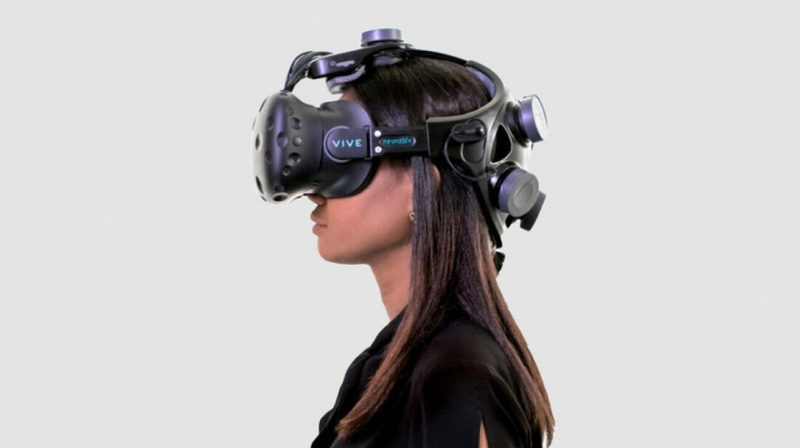 While mind-controlled VR technology might seem like little more than a science fiction fantasy concept, startup Neurable already has a functioning prototype of just such a device - and they recently showed off exactly what the device could do during SIGGRAPH. At the conference, Neurable (in partnership with eStudiofuture) demonstrated a proof-of-concept game called "Awakening". In the game, players would take on the role of a child being held captive in a government facility (Stranger Things, anyone?). To escape, players would have to use telekinesis powers (all brain-controlled) to stop lasers, destroy robots and manipulate objects in the environment. This currently unnamed device will reportedly come in the form of an add-on for the HTC Vive - no word on potential Oculus Touch compatibility just yet. The device will function by analyzing certain brain activity patterns to determine what the user wants to do. According to Neurable Vice President Michael Thompson, this tech already exists. Apparently, it's capable of typing on virtual keyboards and controlling prosthetic limbs. In addition to being potentially revolutionary for the VR gaming industry, brain-controlled VR could make VR gaming more interactive and accessible for those with certain motor skill impairments - opening up the industry to an entirely new audience.